Living in this Elegantly Detailed and Stylish Apartment Building. 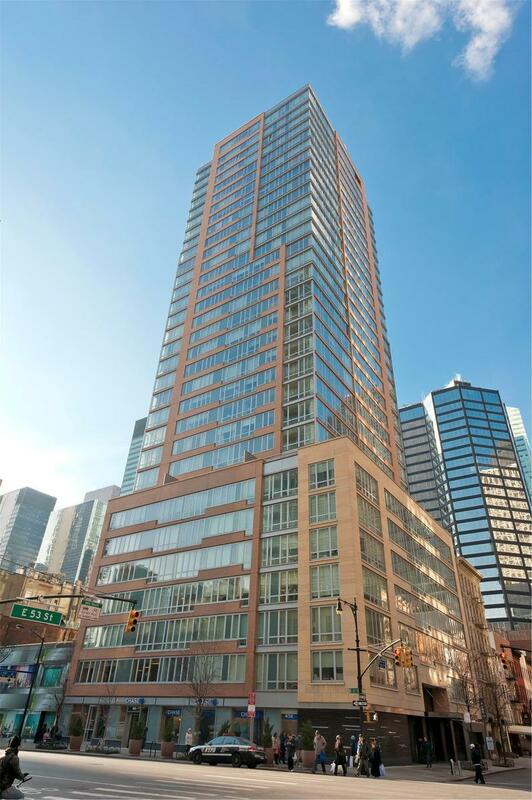 The White Glove Richly appointed residence VENETO Condominium Located in Prime Location in East Midtown has a 24 Hour Doorman and Concierge. The Veneto's interiors were envisioned by award- winning designer Adam D .Tihany. The Building Features an Entertainment Lounge with Elegant Landscaped Outdoor Space with Built in Gas Grill for BBQ's. There is an Exclusive Equinox Designed Fitness Center for Residents Only, Children's Playroom, Bike Room, Storage Room and Valet Garage that is Accessible via the Building's Lobby, Pets are Allowed. Steps Away from the Finest Restaurants, Shopping, Museums, Theaters and Transportation. Pet Friendly Building. Kitchen has Granite Countertops, Etched-Glass and Satin Walnut Cabinets and Top of the Line Appliances. 9 Foot Ceilings with Floor to Ceiling UV Windows with Customized Electric Window Shades.